Many people leave their personal safety up to chance, believing that a break-in, natural disaster, or other safety crisis couldn't possibly happen to them. This is a dangerous mindset, as it can leave you ill-prepared to handle an emergency situation. Unfortunately, no amount of preparation will protect you from all possibility of becoming a victim, but there are certain steps that you can take to help keep yourself safe. By taking a proactive approach to your own personal security, you can better influence what happens to you, your home, and your family. A residential security plan is essential for protecting your home, family, and valuables from intruders. In an effective residential security program, all entrances will have high-quality locks, including doors, garage doors, and gates. Make a habit of keeping your doors locked at all times, even when you are at home, and have locks placed lower and upper level windows in your home. Never leave keys hidden outside of your home, and instead, give a spare copy to a trusted friend or family member. Residential security plans are also necessary to keep your valuables and belongings safe from natural and other disasters. Ensure that each floor of your home has at least one fire extinguisher and that all members of your family know how to use it. If you have a security camera system, make sure it is working properly. Periodically check your smoke detectors to ensure that they are in proper working order, and keep flashlights stored in handy locations throughout your home. Your behaviors are also an important part of a home security system. Establish safe living patterns, and vary your daily habits to avoid predictability. Get to know your neighbors, and if any unusual activity is spotted through your neighborhood, report it immediately to law enforcement. 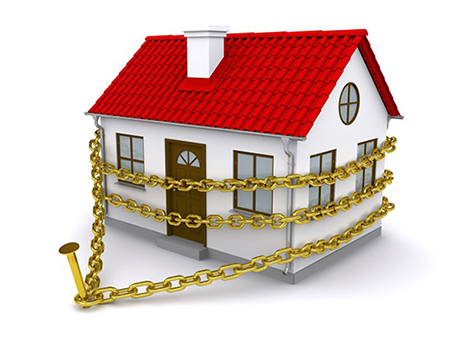 Home Security – Tips for preventing burglaries at your home. Keeping Your Home Safe – Tips from Consumer Reports. Home Door Locks – Choosing the best door lock for your home. Improving Home Security – Tips for keeping your residence safe. Home Fire Safety – Tips from the American Red Cross. 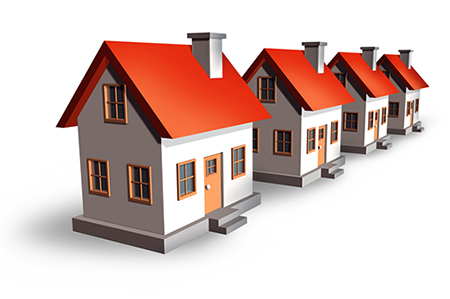 The security of your home is especially important when you plan to be away for an extended period of time. Make sure that your neighbors and local authorities known when you plan to be away, but don't otherwise make your vacation or travel plans well-known. Arrange to have a colleague or friend to pick up your mail so that your house doesn't look deserted, as burglars often target homes that have newspapers piling up on the front step. It is important to ensure that your home is properly locked and secured when you are gone, even if you only plan to be away for a short period of time. Close and lock all of your doors, and purchase lights with timers that will turn on automatically throughout the night. Consider investing in good quality security cameras in order to properly monitor your residence while you are away, and research smartphone-controlled system like these HD IP camera systems that can help you to keep track of the security of your home while you are away. It is important to safeguard yourself against theft of your security footage. The easiest and most inexpensive way is to hide the camera recorder in a concealed location like a locked closet along with a DVR lockbox to protect it from tampering. The surest way is to use a NVR to keep a live video backup from the first security camera recorder. Protect Your Home While You're Away – How to keep your home safe while you're gone. Vacations and Home Safety – Tips for keeping your home safe while traveling. Shopping for a Home Security System – Tips from the Chicago Tribune. Exterior Security Lighting – Varieties and how to choose lighting for your home. Holiday Home Security – The do's and don'ts. Home Security Myths – Keep your home safe by avoiding these myths. When developing any personal safety program, it is important that you properly educate your children so that they know how to keep themselves safe when you are not around. At home, this means that your children should never admit that no adults are home when talking to strangers. Your children should know all the important emergency phone numbers and how to use your home and cell phones, and they should know how to say "no" and to avoid strangers. Children should also know how to behave in the event of emergencies. Frequently run drills with your kids about how to handle emergency situations, such as a fire, tornadoes, and break-ins. Make sure your children know how to safely leave the house and operate security camera systems in the event of one of these emergencies, and explain how they should seek out help. Children should also be taught about staying safe when using technology. Caution your older children and teens about blind dates and meeting people that they don't know. Also teach them how to stay safe when using their cell phones, laptop computers, and other devices. 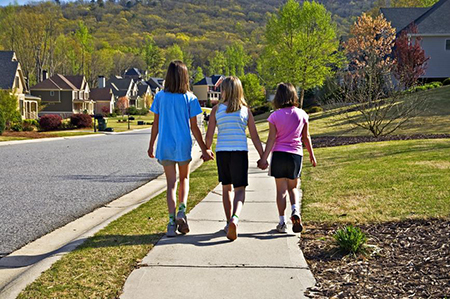 Child Security and Safety – Tips from the Seminole Police Department. Internet Safety – Tips for parents on keeping kids safe online. Social Networking Safety – Keeping kids safe online. Kids and Fires – Home safety tips for families with kids. Emergency Preparedness for Kids – Tips from the Canadian government. 911 for Kids – Tips for teaching kids to use 911. Surveillance is used in identifying potential targets based on security precautions, and it may go on for days or even weeks. Surveillance of a person who has consistent routines and takes very few precautions will generally take less time that surveillance on someone that is constantly changing his schedule. Having a well-established routine will make it easier for someone to keep tabs on you. To avoid surveillance, it is important to take a few simple precautions. Vary the times that you will travel and the routes that you take. Make sure that you are familiar with the route that you are traveling, and always have alternative routes prepared. Be sure to check for surveillance and suspicious people regularly, and stay on the main streets where most locales have home security camera systems watching the streets. If at any time you ever feel that you are being followed, call the authorities immediately. Drive to the nearest police or fire station, and cautiously look for distinguishing characteristics about the person or vehicle that is trailing you. Note the make and color of the vehicle as well as the license plate number and any other distinguishing characteristics. 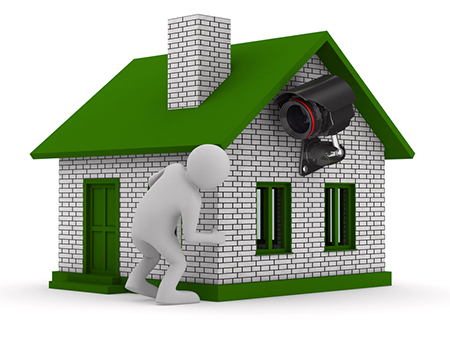 Surveillance Cameras in Public – Benefits for crime prevention. Surveillance and Personal Safety – Tips for staying safe. Being Followed – What you should do. Staying Safe Abroad – Tips for staying safe while traveling abroad. Public Surveillance – Preventing and solving crime with video security camera systems. Safety Tips for Women – How to avoid predators.